The ultimate in JK engine protection is here! 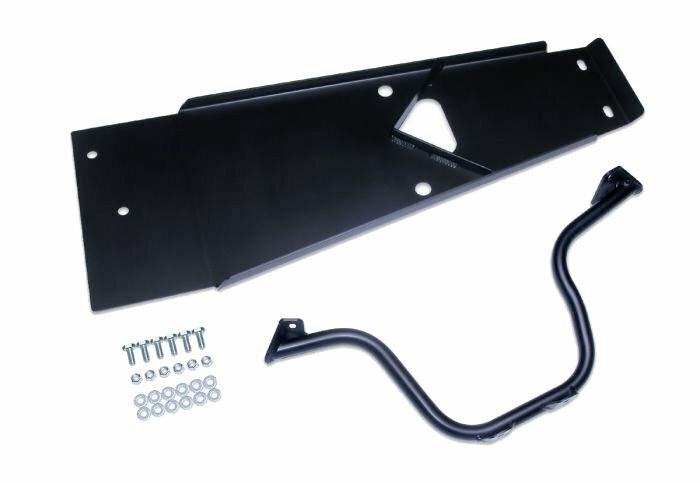 This all new JK engine skid plate protects the engine and transmission from rocks and trail damage. Laser cut from 3/16" plate steel and precision formed to mount in minutes with the included oil pan support brace. The skid and mount are finished in semi-gloss black powder coat and ships complete with instructions and all necessary hardware. Will work in conjunction with the PUREJEEP Transfer Case and Gas Tank skid plates for the ultimate in protection.